There’s only one iron throne, it’s ruled by the “protector of the realm.” He who holds the throne rules the seven kingdoms. He also drinks this beer, at least in the latest season of “game of thrones ” he (& everyone else) gets merry on this beer. 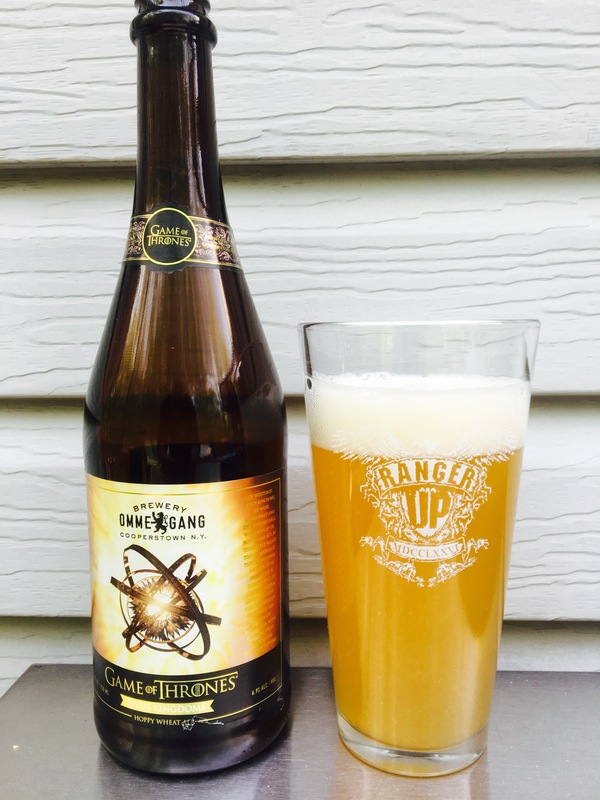 Ommegang brewery and HBO have crafted a hoppy wheat ale that is quite unique in flavor profile for season 6. There’s an initial bite of spice up front which quickly turns to a much lighter, citrus blend followed by a shot of hopps with only a slight bitter aftertaste that quickly dissipates . It really is quite a complex beer, but isn’t that the only way to the throne?